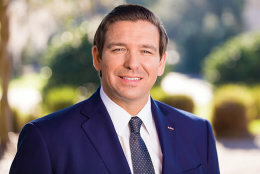 Please send your letter to Florida Governor DeSantis by clicking the Send Message link below and ask that Governor DeSantis investigate FWC and their taking input and collaboration with animal rights groups pertaining to regulation and oversight over animal-related businesses in Florida. The Cavalry Group has been aware of the increasing number of incidents over the last several years where Florida Fish and Wildlife Conservation Commission (FWC) has transitioned from their historical role as an advocate for FWC licensees, to being a non-objective regulatory body that has displayed their animal rights ideological leanings pertaining to regulation and oversight by harassing, and in some cases, terrorizing law abiding Florida animal owners and licensed exhibitors who work directly with exotic animals and captive wildlife. Based upon witnessed affidavits from our members, it is clear that the animal rights ideology has embedded itself in the FWC executive structure and is subsequently influencing policy and enforcement to the great detriment of Florida animal owners and animal enterprise. Animal rights is an ideology that has no place in any regulatory agency overseeing animal-related businesses. It is critical to understand the difference between animal welfare and animal rights. Click here. In fact, just last week, FWC announced in a bulletin to its licensees that they are holding public meetings to encourage “public input” on captive wildlife regulations in Florida related to Elephant rides and public contact with unconfined captive wildlife. To read the FWC bulletin and meeting schedules click here. Why is FWC allowing comments from the general public who know very little about these animals or their care and keeping. It is our belief that as FWC conducts their open meetings across the state of Florida asking for public input pertaining to Elephant rides and contact with uncontained captive wildlife, that these meetings gives an opportunity to allow animal rights activists and their organizations an platform to dominate these forums and use these meetings as an opportunity to justify writing new regulations to the detriment of the licensed exhibitors. Accordingly, we are respectfully requesting an investigation into these actions by FWC and subsequent scheduled meetings. We believe that these efforts are intended to run exotic wildlife exhibitors out of business. We have multiple affidavits from owners of animal businesses outlining the unlawful behavior and harassment by FWC inspectors and staff. We also request that Florida Attorney General’s Office investigate this illegal and wrongful action by FWC executives and staff against Florida’s animal owners and animal enterprise and stop this behavior. Failure to do so will not only negatively impact the conservation of certain animal species and law abiding animal owners and animal businesses, but it will also deprive thousands of Florida’s residents, families, and tourists from having access to these important opportunities for interaction and education. Not only bringing harm to advancements in conservation of species, but also harming Florida tourism by destroying these legal businesses.